Temple Shalom welcomes all kinds of families. Parents can bring their children for a variety of fun and educational programs, and learn new things themselves. Our programs range from one-time holiday or event celebrations to special monthly programs. 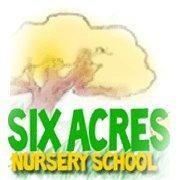 Six Acres Nursery School is a licensed, non-religious pre-school owned by Temple Shalom . They accept children between the ages of 2.9 and 5 years. Their mission is to build confidence and a love of learning with a play-based curriculum, and a program that encourages children to experiment, discover, compare, construct and learn.